NATO Foreign Ministers met in Washington D.C. to mark the seventieth anniversary of the Alliance, the press service of the NATO reported. On the eve of the meeting of NATO Foreign Ministers in Washington D.C., a “NATO Engages” conference took place on Wednesday (3 April 2019) to discuss “the Alliance at 70”. Addressing the conference, NATO Secretary General Jens Stoltenberg pointed to a "paradox": while questions are being asked about the strength of the transatlantic bond, Europe and North America are actually doing "more together than in many decades". 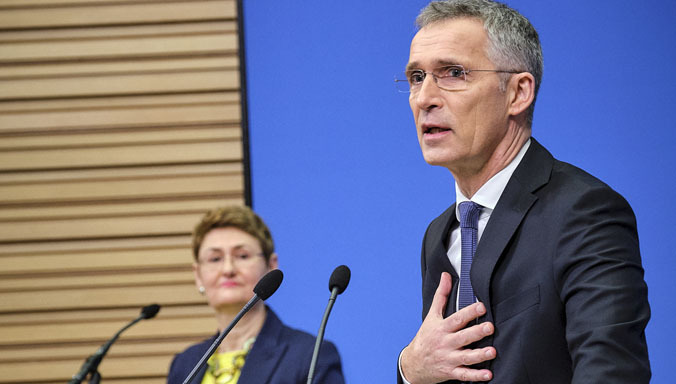 Pointing to the “historic success” and enduring value of NATO, Mr. Stoltenberg also stressed the importance of Allied unity in addressing security challenges ranging from terrorism to a more assertive Russia. US Vice President Mike Pence provided a keynote address earlier in the day, and Deputy Secretary-General Rose Gottemoeller opened the conference, pointing to the evolution and increased the diversity of the Alliance over time. "NATO is evolving and NATO is adapting. And NATO looks a little bit different than it did on April 4th of 1949," she said. The "NATO Engages" format was launched during NATO’s Brussels Summit in July 2018, and also featured at the Munich Security Conference in February 2019. It is the result of a successful partnership with the Atlantic Council, the German Marshall Fund, the Munich Security Conference, and other partners, to reach out to new audiences – particularly women and young people. NATO’s Foreign Ministers are meeting in Washington on Wednesday and Thursday (3-4 April 2019) to celebrate 70 years since the signing of the North Atlantic Treaty, and to ensure that NATO remains a modern Alliance fit for modern challenges.